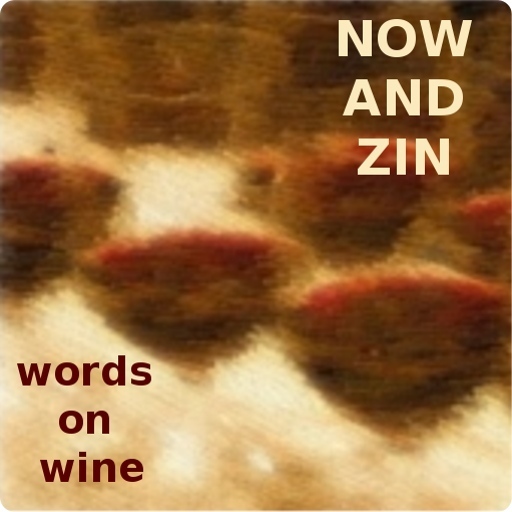 For some folks, the wine business has gone to the dogs, and they like it that way. Cru Vin Dogs in a winery based in Denver, Colorado, which "tracks down exceptional vineyards and small lots of wine throughout the world to craft masterful blends of exceptional quality and value." Every Cru Vin Dogs release features a pencil drawing of a dog - a different breed each time - by gifted artist Jay P. Snellgrove. Prints of these drawings are available to wine club members, with the remainder offered to the public. 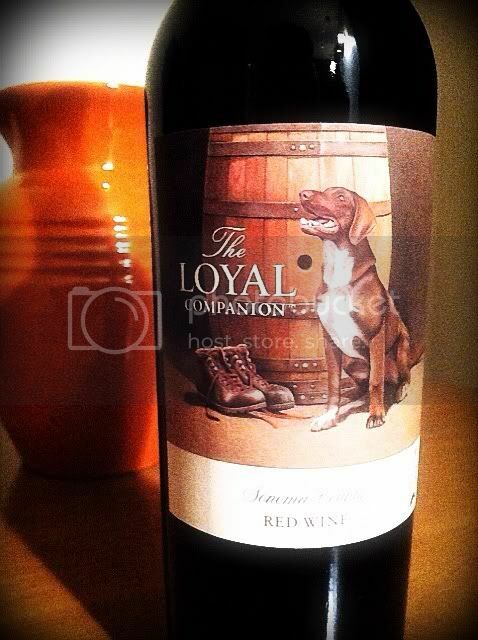 The winery also has a philanthropic side showing on their line called “The Loyal Companion.” Proceeds from the sale of these wines helps local animal shelters and rescue groups find homes for some of man’s best friends who are doing without faithful companions of their own. Cru Vin Dogs’ winemaker Tony Wasowicz makes the Loyal Companion blends with small lots of grapes sourced from vineyards in Sonoma County. I was provided with a couple of samples to try, and here are my notes. 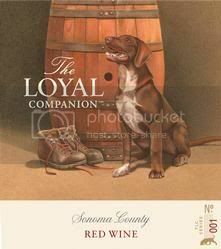 The Loyal Companion Sonoma County Red Wine hits 14.8% abv on the alcohol scale and the $13 price tag means you can enjoy it even if your finances aren’t running with the big dogs. It’s a mixed breed: 60% Syrah, 25% Cabernet Sauvignon, 10% Malbec and 5% Zinfandel. The wine is extremely dark in the glass with a nose of dark fruit - blackberry and black plums - with an earthy overlay of minerals, tobacco and cedar. There’s earthy fruit on the palate too, and plenty of it. Wood spice also figures in on the palate, but not to distraction. Lip smacking acidity and good tannins lead to a nice, dry and rather lengthy finish. 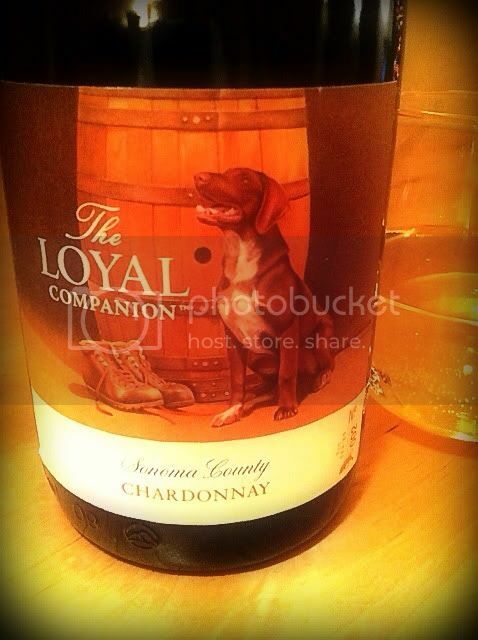 The Loyal Companion Chardonnay also utilizes grapes from cool climate locations in Sonoma County. It wags its retail at $13 and is barely slimmer in alcohol than the red - 14.5% abv. This 100% Chardonnay is a pretty golden color. The nose offers tropical fruit that is almost pungent in its intensity. Oak spices are also present in the aromas. Flavors of pineapple and mango are laced with those oaky spices. The flavor of oak is somewhat heavier than the light touch promised in the winery's notes, so be prepared for some good ol' California Chardonnay. There is a great acidity level, which means pairing with food shouldn't be a problem.